Treat yourself to a Master Class with Broadway Legend Baayork Lee on Saturday, December 6, 2014. Lee will be teaching and staging a production number at Pearl Studios NYC, 500 8th Ave, New York, NY. – All proceeds will benefit the National Asian Artists Project. – You don’t need to be a professional (or Asian) to join in on the fun! Reserve your spot now to dance it out for the holidays!!! Dancers should come prepared to dance and warmed up. Cash will be accepted at the door, but if you want to use a credit card, make your donation via Paypal, with the note: “Master Class” or click here. Baayork Lee is an Asian American actor, dancer, singer, choreographer, director and author, who recently received the 2014 Paul Robeson Citation Award presented by the Actors’ Equity Foundation. Lee, born in New York City’s Chinatown to an Indian mother and Chinese father, made her Broadway debut at the age of five as “Princess Ying Yaowalak” in the 1951 original production of The King and I. Her dream was to become a ballerina and she appeared in George Balanchine’s production of The Nutcracker, but this dream was dashed when she achieved her full height of just four feet, ten inches. In 1958, she returned to Broadway in Rodgers and Hammerstein’s Flower Drum Song. Other Broadway appearances were in Bravo Giovanni; Mr. President; Here’s Love; Golden Boy; A Joyful Noise; Henry, Sweet Henry; Promises, Promises; Seesaw and Michael Bennett’s groundbreaking production of A Chorus Line, in which she originated the role of “Connie.” She worked with Bennett in several productions and over the years went from being his dance partner, to being his assistant. She would later supervise all major productions of A Chorus Line, choreographing 35 international productions as well as the 2006 Broadway revival. She is the co-author of the book, On the Line: The Creation of A Chorus Line, published in 1990. Lee also has choreographed and directed scores of national and international tours of, among others, The King and I; Bombay Dreams; Rodgers and Hammerstein’s Cinderella; Porgy and Bess; Jesus Christ Superstar; Carmen Jones and Miss Saigon. In addition, she has choreographed several productions for the Washington National Opera at the Kennedy Center, been a talent scout for Tokyo Disneyland and opened a musical theatre school in Seoul, South Korea. She was the recipient of the 2003 Lifetime Achievement Asian Woman Warrior Award from Columbia College in Chicago. 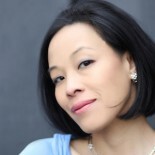 Throughout her career, Lee has been committed to promoting a diverse society on American stages and dedicated to fostering opportunities for Asian American performers to play roles for which they might otherwise not be considered. In 2009, Lee founded (with Steven Eng and Nina Zoie Lam) the National Asian Artists Project, which focuses on providing opportunities for the Asian American artistic community. 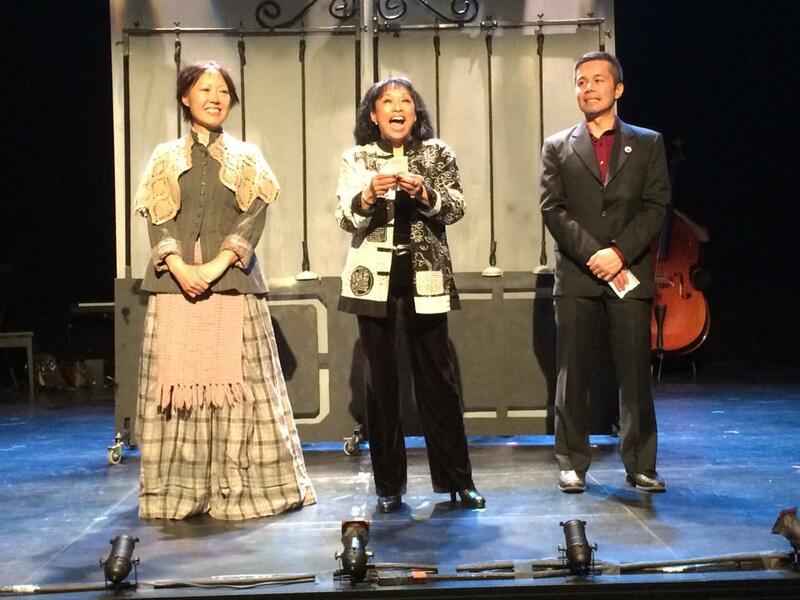 NAAP’s “Discover New Musicals” program allows writers of all races and ethnicities to have new works showcased annually, utilizing Asian American casts, and its educational programs enable artists to hone their craft and to stay competitive in the workplace. National Asian Artists Project (NAAP) exists to be a leader in educating, cultivating, and stimulating audiences and artists—current and future—through showcasing exceptional work by vibrant artists of Asian descent. Art constantly evolves, and NAAP strives to command a place at the fore with a uniquely compelling American voice. 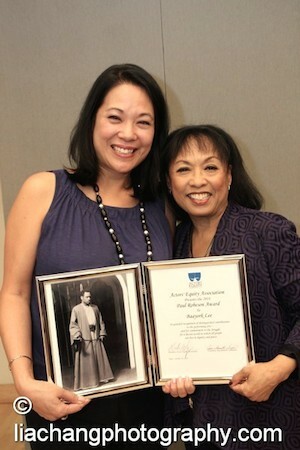 NAAP believes that artists of Asian descent have many vital roles to play in the fostering of American communities. *Through thoughtful educational programming, we seek to present the richness of theatre arts to underserved children, fostering creative self-discovery and expression. *Support the artistic growth of theatre artists of Asian descent through professional employment opportunities. *Build and cultivate new local and national audiences that encourage patronage and participation in the arts, including predominantly Asian communities unaccustomed to playing a role in the local or national arts dialogue. *Capture and archive stories of prominent artists of Asian descent that they may be made available for future generations from which to learn and inspire. 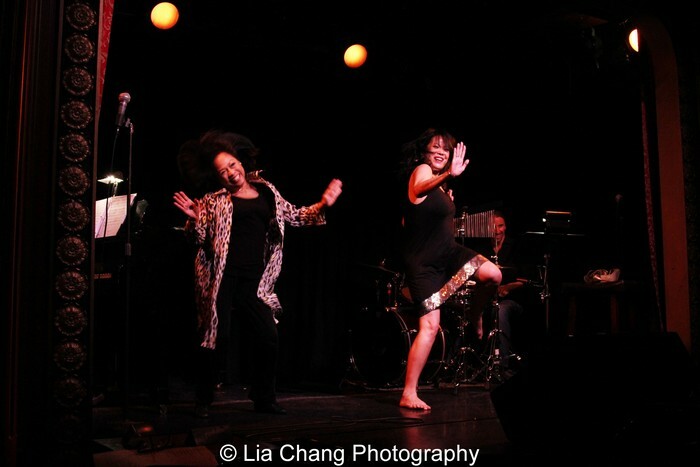 This entry was posted on December 1, 2014 by Lia Chang in Asian American Artists, Dance, Entertainment, New York, Non profit, Theater and tagged 2014 Paul Robeson Citation Award, A Chorus Line, Asian American, Baayork Lee, Backstage Pass with Lia Chang, Lia Chang, Master Class, Michael Bennett, NAAP, National Asian Artists Project, New York, Paul Robeson Citation Award, Raul Aranas, Steven Eng.